But what happens when a start-up biotech company doesn’t have the luxury of such rich financial support? How do those researchers manage to keep abreast of scientific literature and make sure they haven’t missed anything that might inform their research, in either a positive or negative way? Is this perhaps a case of information underload? 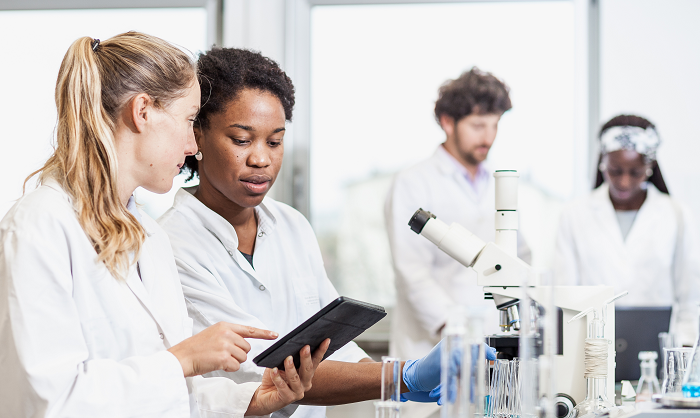 I recently reached out to scientific researchers at eight small (less than 75 employees) life sciences companies to learn how they manage their information needs. We had candid conversations about their pain points in obtaining journal articles and talked quite a bit about their knowledge of copyright compliance. Based on these conversations, it appears small companies are suffering from information underload—lacking access to timely, critical information that staff needs to optimally do their job. As well, these companies are lacking an organized structure to gain access to the information they need and to implement copyright-compliant behaviors. There is an organizational benefit to companies that maintain one central location where all articles (purchased, open access, and subscriptions) can be stored. This minimizes the time that researchers spend searching for the content they need. In small organizations, time is definitely money! And because abstracts sometimes do not accurately reflect the content of a scientific article, it behooves a small company to invest in subscriptions that offer researchers simple access to full-text articles. Non-compliance with copyright often occurs quite innocently in small companies. For example, most online college libraries restrict use to current students—even though their accounts are still active post-graduation. Because of this, many post-docs at small companies report routinely downloading journal articles in this manner. Others turn to online social sharing sites like ResearchGate to download articles without realizing that more than a dozen academic publishers took ResearchGate to court in 2018, charging ‘massive infringement of peer-reviewed published journal articles.’ And while many people believe that all scientific articles can be shared freely among their colleagues, posted to blogs, or used in slide presentations, this is not the case. Usage rights vary based on the source of the material and what licenses your organization has in place, and using materials in an unauthorized way can occur if you don’t know where or how to check what can be shared. Any time you share works that are copyright-protected — by email or instant message or on social media or in a slide deck — without checking permission, you risk putting your institution at reputational, legal and financial risk. And as importantly, sharing content unlawfully undermines the culture of integrity that is prized by most organizations, small or large. As companies grow, their information needs grow, as well. CCC recognizes the difficulty in balancing current needs with future growth and is committed to providing smaller life science companies with a sustainable work flow solution to address information underload and copyright compliance challenges that grows with the company. Learn more about CCC’s RightFind Suite for Emerging Life Science Companies .